Continuing on the huge success of promoting up and coming Japanese animated films, GKIDS has acquired to rights to to the next film to come out from STUDIO4°C. The animation studio who were involved with the production of films like MFKZ, Mind Game, Animatrix and many stand out works. The film is an adaptation by a manga of the same name, written by Daisuke Igarashi, and the film itself is directed by Ayumu Watanabe (After the Rain, Ace Attorney TV series). 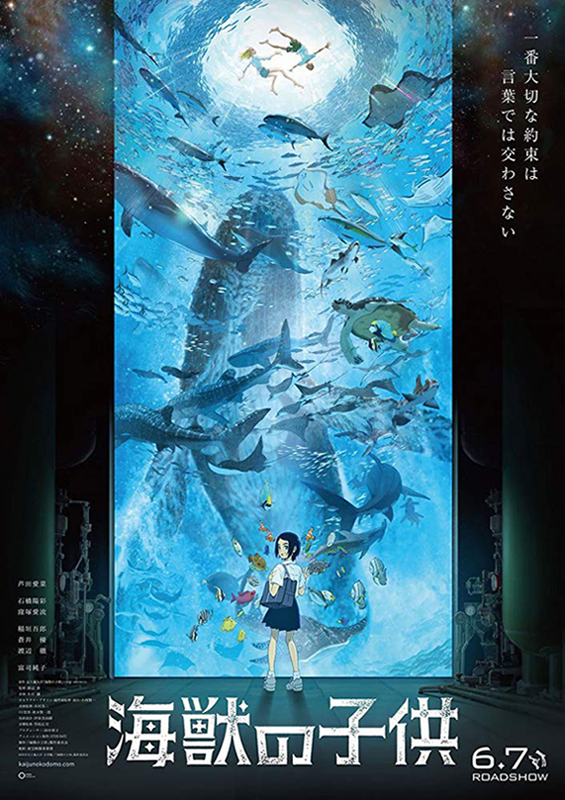 Aside from the gorgeous visuals, the film's soundtrack promises to be phenomenal due to the participation of Joe Hisashi, one of the leading composers for many of Studio Ghibli's hit films. A combination that has stirred up a lot of excitement over at GKIDS. This enthusiasm is equally shared by the staff at STUDIO4°C. "We have succeeded in expressing a celebration of life through the highest quality of beautifully detailed Japanese traditional hand-drawn animation. This coupled with a beautifully detailed musical score from Joe Hisaishi, one of the most appreciated musicians worldwide, we hope will bring audiences even closer to the film. After more than 5 years since the start of pre-production, it is my pleasure that this very special film will finally be released. With the help of our trusted North American partners at GKIDS, I sincerely hope that the film will greatly resonate with North American audiences." said the producer and CEO of STUDIO4°C, Eiko Tanaka.